Can a dinner roll tell a story? I recently saw this question in an ad for King Arthur Flour. Of course, I had a story about a dinner roll. Who doesn’t have some kind of story about a beloved food favorite. Even as a teenager in high school, I loved smelling the aroma of freshly baked rolls waifing from the cafeteria. We could hardly wait until lunch in the cafeteria to have a couple of these rolls and they were not out of the freezer but where freshly made each day by these wonderful ladies in the cafeteria’s kitchen. Back in the early 70’s we lived in Louisville, Kentucky for six great years. 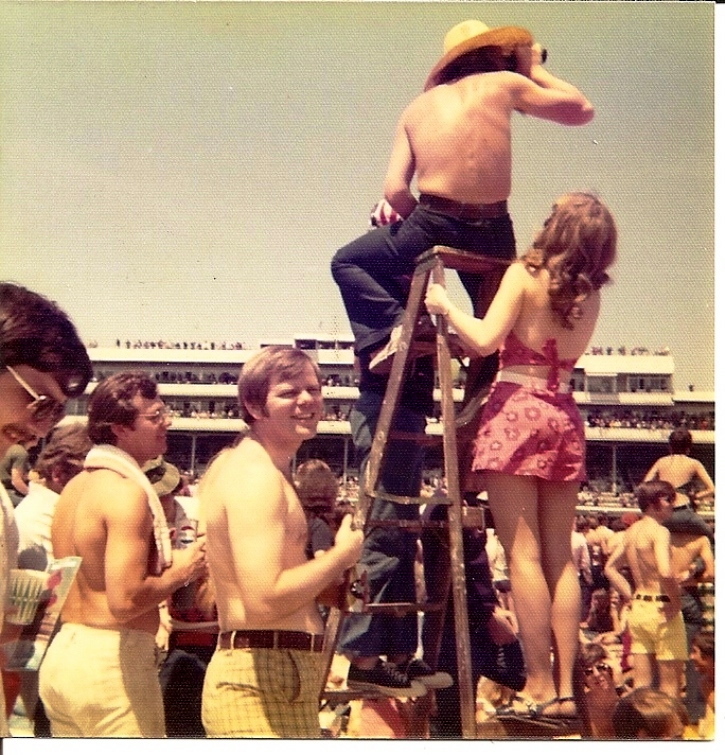 We had friends (Judy and Boots) who took us to our first Kentucky Derby and I was photographed by one of the local newspapers standing on a ladder in the infield at Churchill Downs (see photo below) trying desperately to see a horse. If you go to the infield on Derby day you know you are going to be sitting on the ground (or on a ladder or sitting on someone’s shoulders), drinking mint juleps and enjoying lots of food. My old friend Judy and her husband Boots (isn’t that a cool name) had us over for dinner one night. I can’t remember what the dinner was but I will never forget her homemade dinner rolls because her daughter, Stephanie, loved the rolls, and they would never let her eat them until she finished her meal. That was her dessert! She said her daughter still loves the rolls, and I wonder if she makes them as often as I do. Thank you Judy for this favorite recipe from years ago. I have made these for over thirty years and do these for catering jobs all the time and people love them. After spraying the pans or greasing them, I sprinkle the pans with garlic powder. 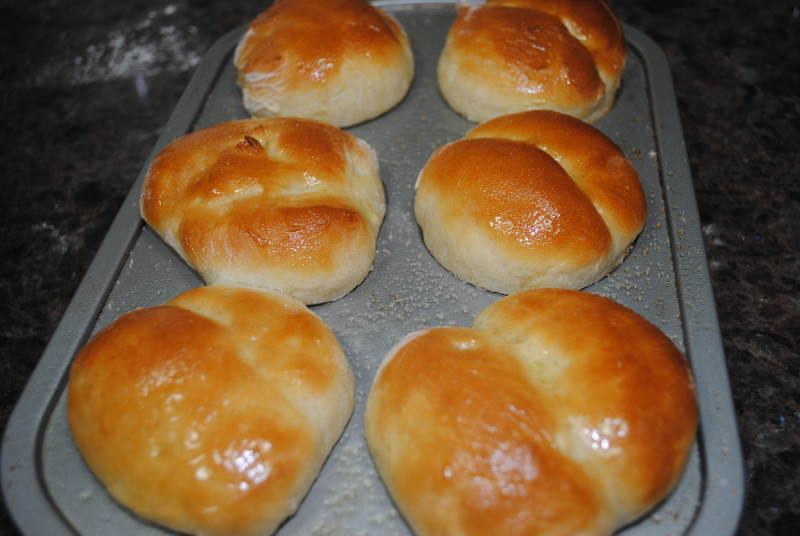 These are so quick and easy and yield such a “yeasty” roll you will go crazy for them just as I remember their daughter Stephanie doing years ago as a little girl sitting at the dinner table hardly able to hold herself back from grabbing one of the rolls and devouring it. 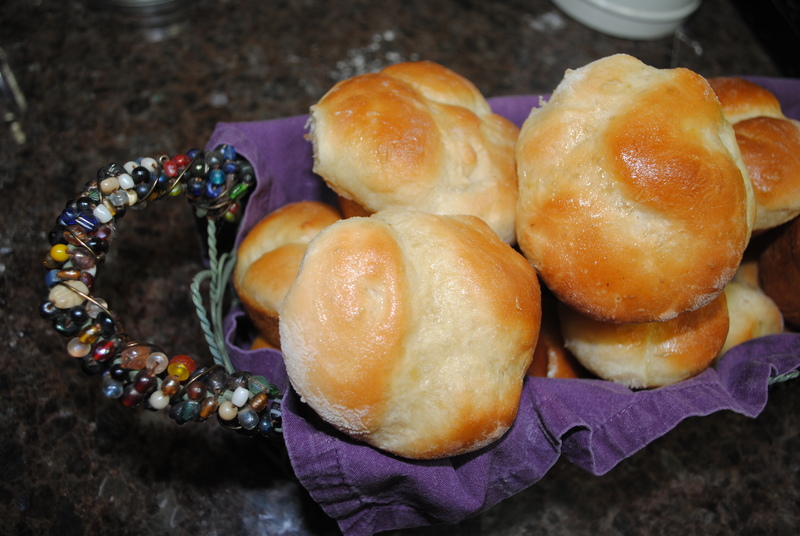 The recipe is called Double Quick Dinner Rolls. 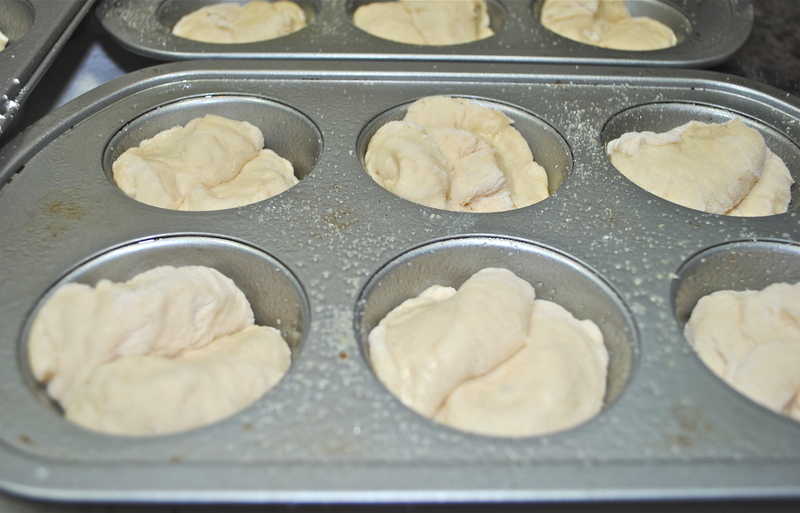 They do take a couple of hours of rising time but mixing the dough up takes just a few minutes. I made some of these in regular muffin pans and also some in jumbo muffin pans. I have also cut the dough in little squares and baked as small sandwich rolls. 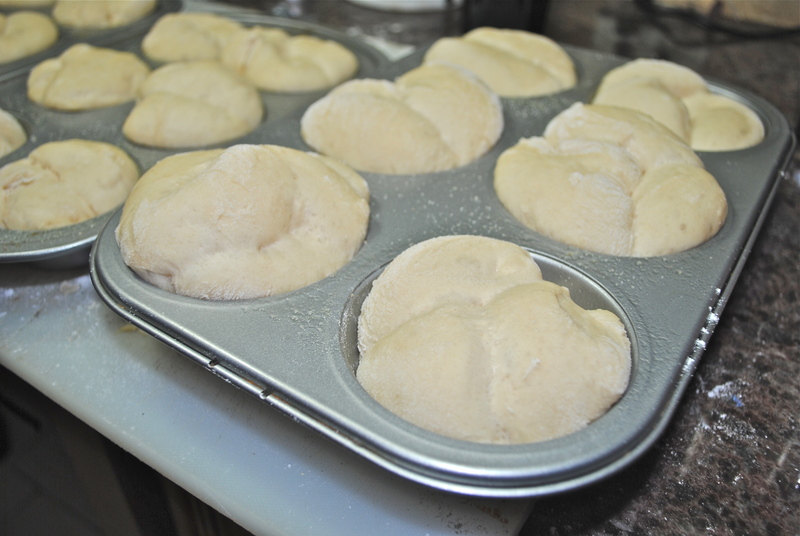 This time of the year, when the weather starts getting cooler, I proof the rolls in my oven on the “proofing” cycle. If you don’t have an oven with a “proofing” button, just put the bread to rise in the warmest spot in your house. Who would think such simple ingredients as a little flour, sugar, egg and yeast could make such a delicious roll. I always mix bread down in my stand Kitchen Aid mixer with the paddle attachment instead of the hook. Knead a few times until smooth. 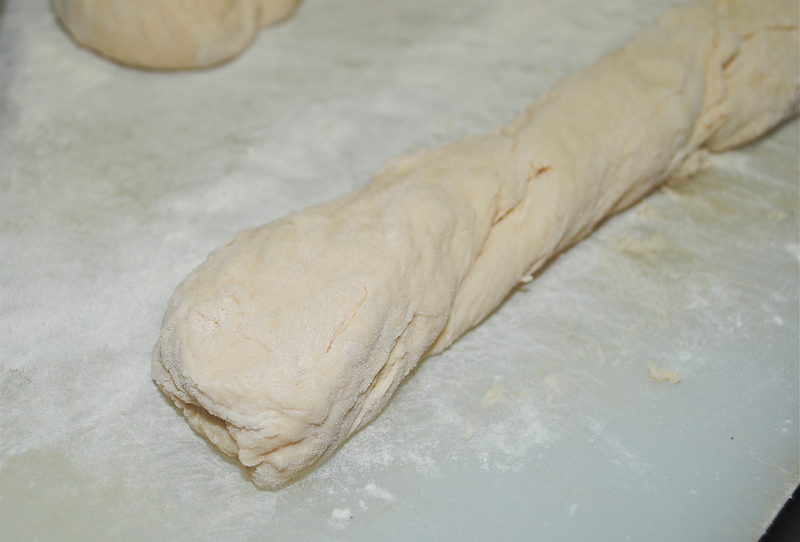 Divide the dough in half and cut each half into 3 portions and roll into a long roll. 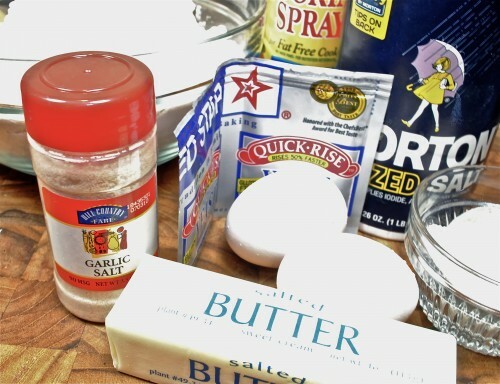 Cut 2-3 pieces and put into muffin pans than have been sprayed and sprinkled with garlic powder. Let rise in warm place until almost double in size. Out of the oven and brushed with melted butter. In mixing bowl, dissolve dry yeast in water. Measure flour. Stir sugar, half of the flour and salt into yeast mixture. 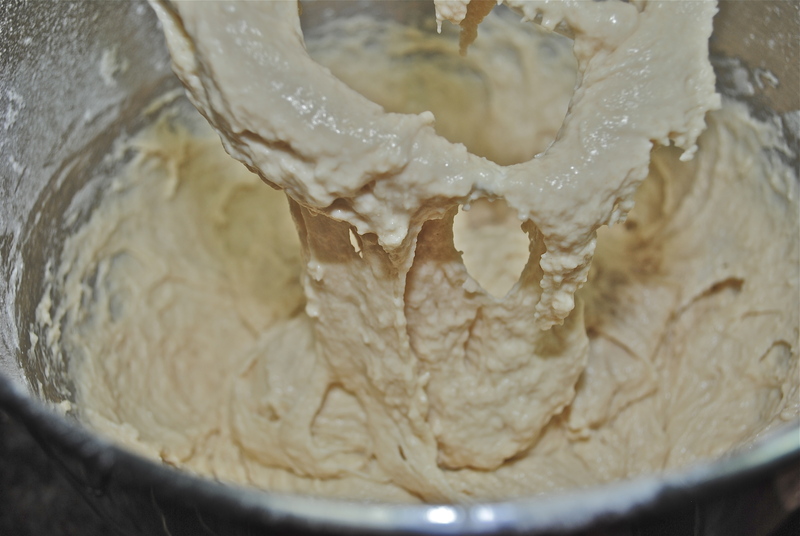 Beat with spoon or in stand mixer fitted with paddle attachment until smooth. Add eggs and shortening. Beat in rest of flour until smooth. Scrape down sides of bowl. Cover; let rise 1-2 hours, until doubled. 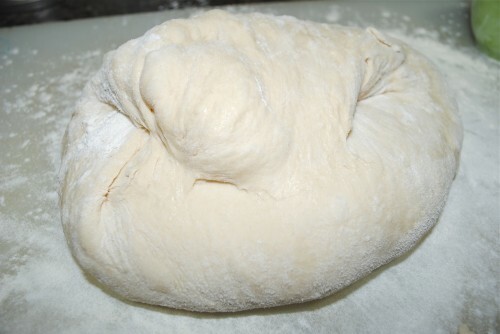 Stir down raised dough. Knead 10-15 times, adding more flour as needed to keep the dough from sticking to the board. Cut dough in half and then each half into three portions. Roll out the portions into a long piece. Cut in about 1 1/2″ pieces. Drop 2-3 pieces into each muffin pan cup that has been sprayed and sprinkled with garlic powder. Let rise again until doubled in size, about 1-2 hours. Heat oven to 400° and bake rolls 15-20 minutes or nice and brown. 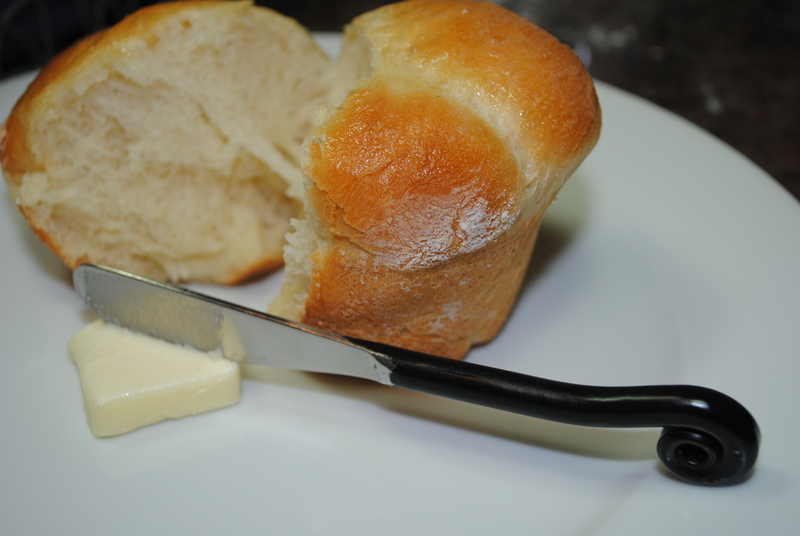 Brush tops of baked rolls with melted butter. Makes 24 rolls. That’s boots to the left of the ladder without a shirt on. Don’t ask me who that is on top of the ladder but that’s me in that little red outfit that I actually made.Wow, wish I still had that and could get into it. Well, those rolls look great and how fun it is to see what Boots looked like in the 70’s! Great story! That Judy is a wonderful cook! We love them both. Thanks for the recipe, the story and the photo! Boots is my brother and I have eaten those rolls many times. Great story. I am in that crowd close to that ladder I am sure. Love seeing the old picture. Next to Boots is his friend Ken “Skip” Anderson who I’m sure brought the ladder in.